Five trends for the year ahead. 2017 will usher in some counter-trends to the population growth, urbanisation and information-overload which currently defines us. Australia is changing faster than ever, influenced not only by local trends but global ones, and accelerated by always-connected, ever-adapting technology. However, 2017 will usher in some healthy counter-trends to the population growth, urbanisation and information-overload which currently defines us. As our cities grow, Australians are adopting approaches we see in other mega-cities where a local rather than a citywide identity emerges. Australia's capitals are becoming cities of villages or regions where residents live, work and interact in a part of their city rather than the traditional commuter approach of suburb living but CBD working. The year ahead will see the rise of the walkable community, the ongoing gathering at the local shopping strip and the growth in local entertainment precincts rather than the city-centre destinations that used to dominate. As apartment living increases along with population growth, Australians are looking to meet the timeless human needs of relational health and community connection in their geographical context. From knowing the local barista to supporting the local grocer, increased events in local parks, increased patronage at local clubs and venues and growth in volunteering to support community groups, 2017 will see the rise of 'local'. Last year Sydney hit the population milestone of 5 million and Melbourne is not only growing faster but it is seeing house price increases exceed that of Sydney. The size and associated costs of living in Australia's global cities is bringing to the fore the benefits of Australia's lifestyle cities. These are the regional cities that have the employment, shopping and housing options of the big cities but populations not in the millions but the more sustainable hundred thousand or so. In NSW, cities like Newcastle and Wollongong have reinvented themselves from the industrial cities of the 20th Century to be innovation hubs, university towns, and small-business-friendly 21st Century lifestyle cities. 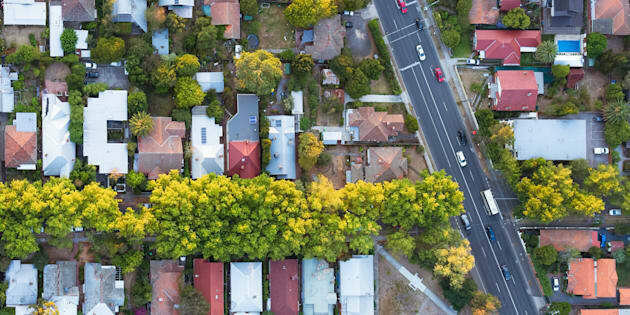 With property prices a third less than Sydney, it is little surprise that these cities are growing at twice the national population growth rate and are seeing recent house price growth exceed that of Sydney. Beyond these cities, regional centres like Wagga Wagga, Bathurst and Albury Wodonga are also growing faster than the national average. In Victoria, the lifestyle cities include Geelong, Bendigo and Ballarat and are the state's fastest growing regions, while in Queensland the lifestyle cities include the very fast growing Gold Coast and the Sunshine Coast as well as the inland city of Toowoomba and, in the West, the cities of Bunbury and Busselton make the list. Australia has always had a strong can-do attitude, and a weekend DIY project in a property-obsessed nation is part of the suburban life. However, with tips and tutorials just a few clicks away, and a how-to YouTube video on everything, Australians are extending the DIY approach beyond just handyman skills. From DIY legal processes like property conveyancing, to arranging complex holidays once the domain of travel agents, to the increased consulting of "Dr Google", Australians are doing their own research and planning in an effort to save money and solve their own problems. In an era where there is an app for everything from instrument tuning to wedding invitation designing, Australians feel more empowered through technology, more informed through online resources and more motivated to save money, and so 2017 will see the ongoing rise of DIY everything. In the span of a generation, the proportion of Australians working on a part-time or casual basis has tripled from 1 in 10 to more than 3 in 10 today. However, in the past year or so, online services like Uber, Airtasker, Freelancer and Deliveroo have ushered in the "gig-economy" and more of this generation will end up being freelancers, contractors or contingent workers than ever before. Recent research shows that a third of the national workforce currently participates in contingent work, and more than 3 in 4 employers believe that it will be the norm for people to pick up extra work through job related websites or apps. Technology and new employment options have made it possible, businesses looking to manage their staff costs and liabilities are driving it and Generations Y and Z who value variety, flexibility and opportunity over job security will make the gig economy mainstream in 2017. Last year the electorates of the UK and the US showed the political class not to take their votes for granted and that bombarding people with information and expert opinion will not in itself change minds. 2017 will see the continued rise of the post rational era where it is the heart, not just the head, that influences customers, staff members and voters. The 2016 Word of the Year was 'post-truth', showing that the power to influence is not in the data and statistics but in the story and social validation. Note that this is not an era of "irrationalism" -- in that society has more knowledge available and Australians are increasingly more formally educated -- rather, it is an era where the rationale alone does not alone decide the matter. Those who can communicate with an emotional, visual and relational connection will do better than those who just have a rational connection.